Mike Dann has been an inspector with the Maine Tree Farm program for 38 years. He got involved with the program through Seven Islands Land Company, his employer at the time. 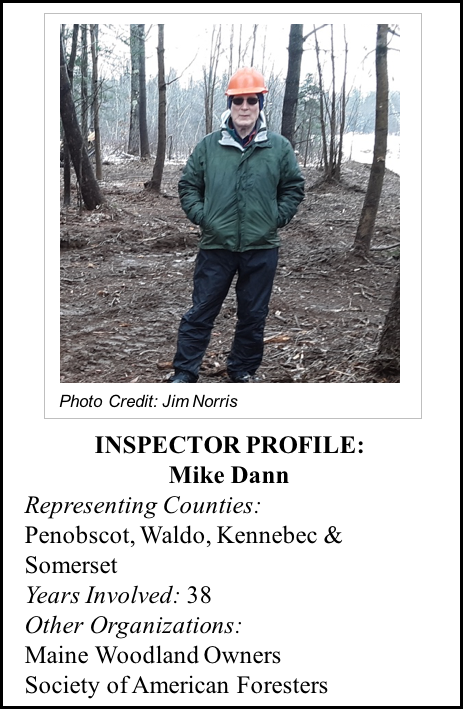 He joined the Maine Tree Farm Committee in 1992 to work on the system’s database and inspection forms. He has served as the Chair of the Committee and has been a long-time inspector training facilitator. Mike and his wife Judy live on and manage their family’s Tree Farm in Dixmont. Women’s Chainsaw Safety and More! A workshop for Tree Farmers, loggers, land trust members, educators and natural resource professionals!